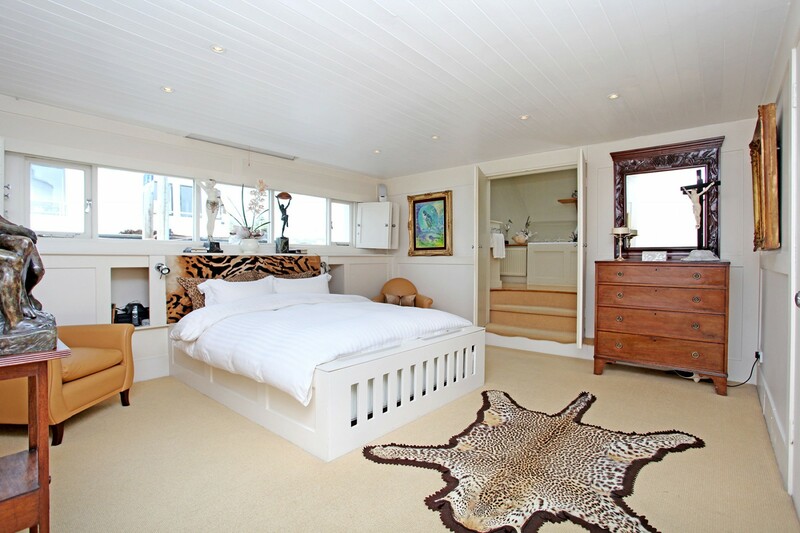 This stunning houseboat - "Parkgate", converted from an original Thames Lighter, is available with its mooring. 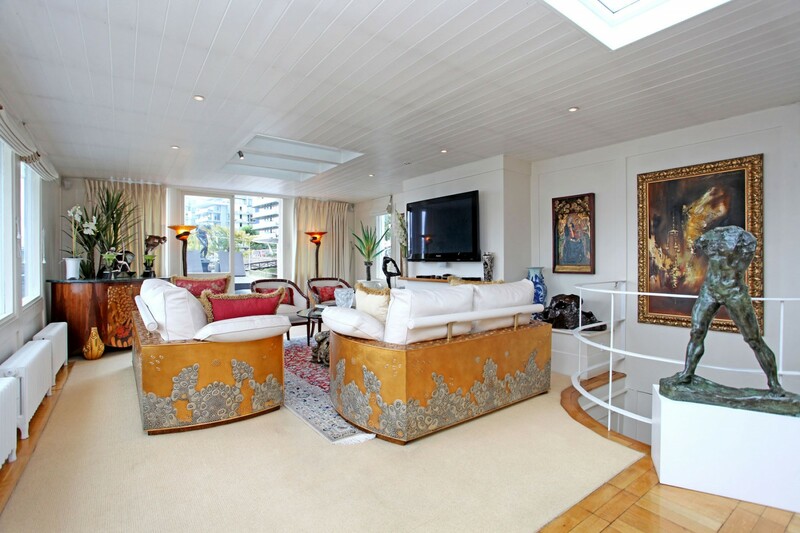 It's on a scenic and rare - virtually indefinite- mooring and offers true luxury riverside living. 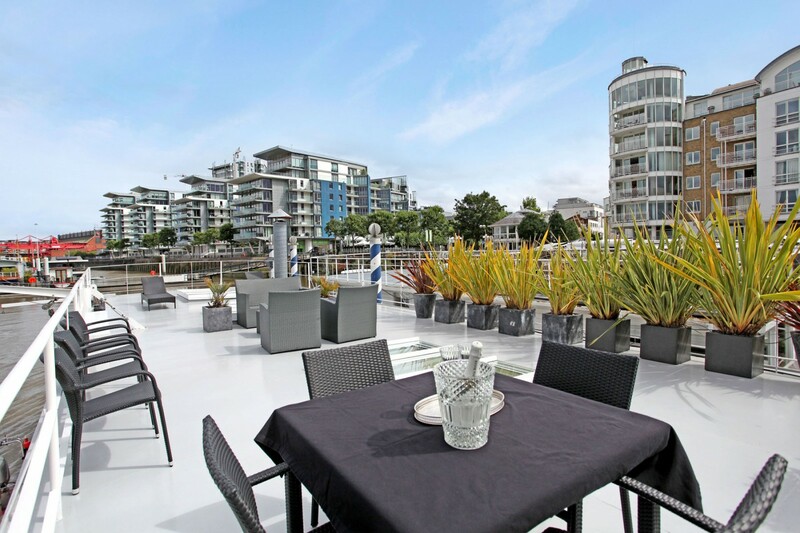 Boasting fantastic entertaining space throughout and 360-degree river views, the living accommodation has abundant natural light and bespoke high quality design details. 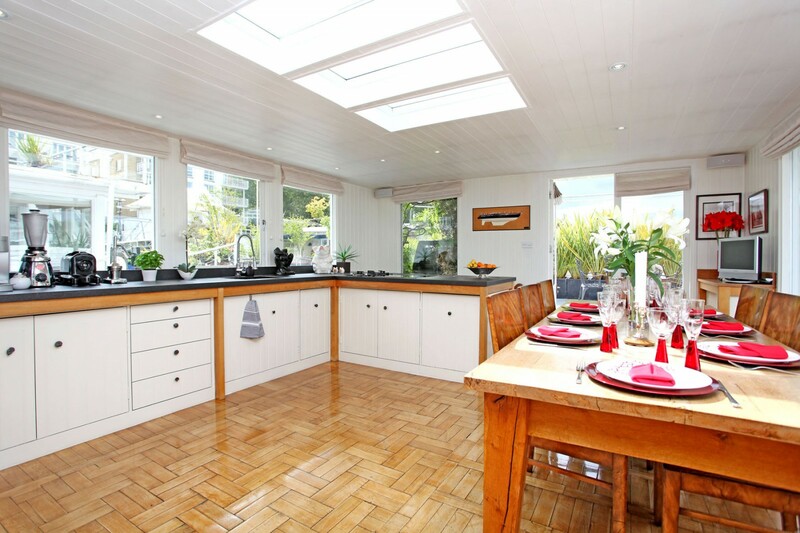 The contemporary kitchen/diner is fitted with all mod-cons and there is a 28 ft. reception room, perfect for entertaining. 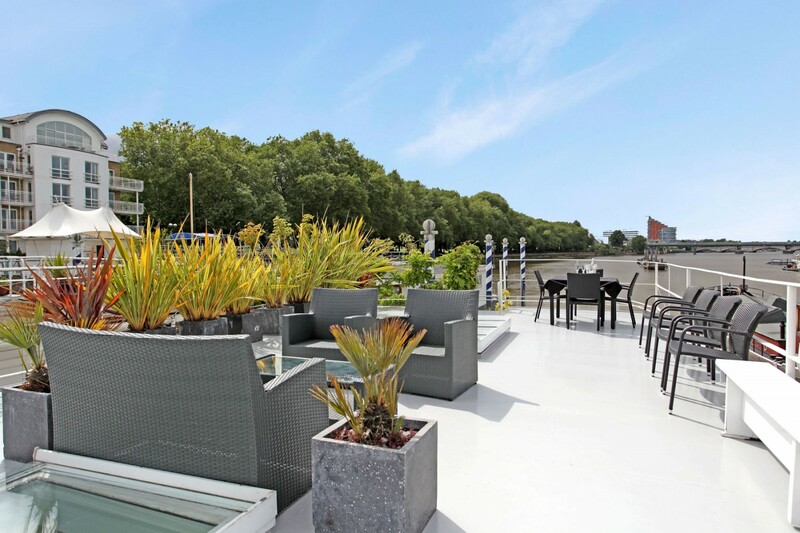 Further benefits include two decks and a very large roof terrace with amazing views - ideal for al-fresco dining. 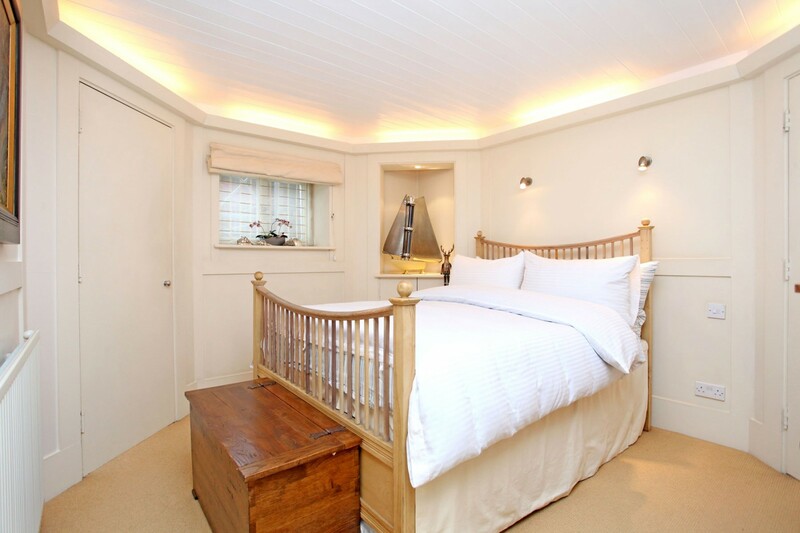 On the lower deck, there's a master bedroom with en suite bathroom and walk in wardrobe, two further bedrooms, a family bathroom, utility room and a study which could be used as a fourth bedroom. 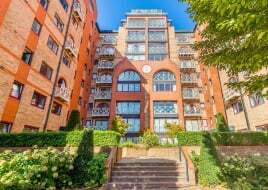 Parkgate also benefits from an automatic tender launch and use of a gym and swimming pool in the adjacent Prospect Quay development. 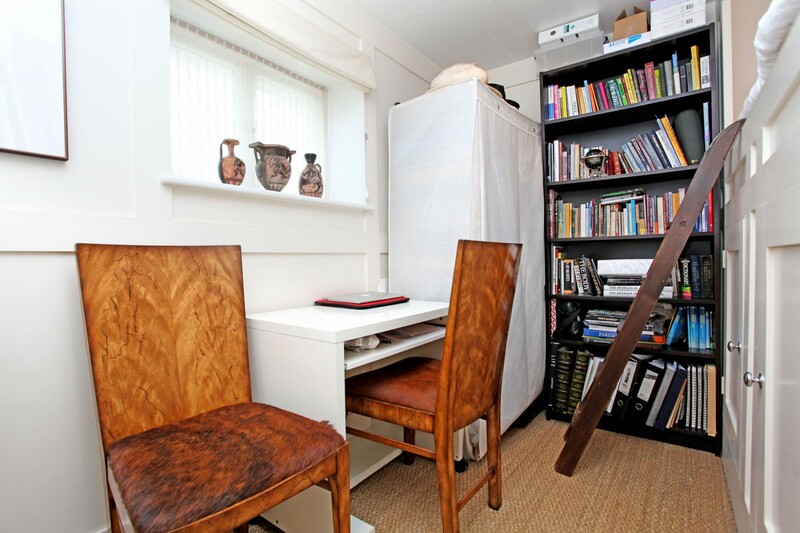 Two underground parking spaces are available for rent at c £1200 per annum. 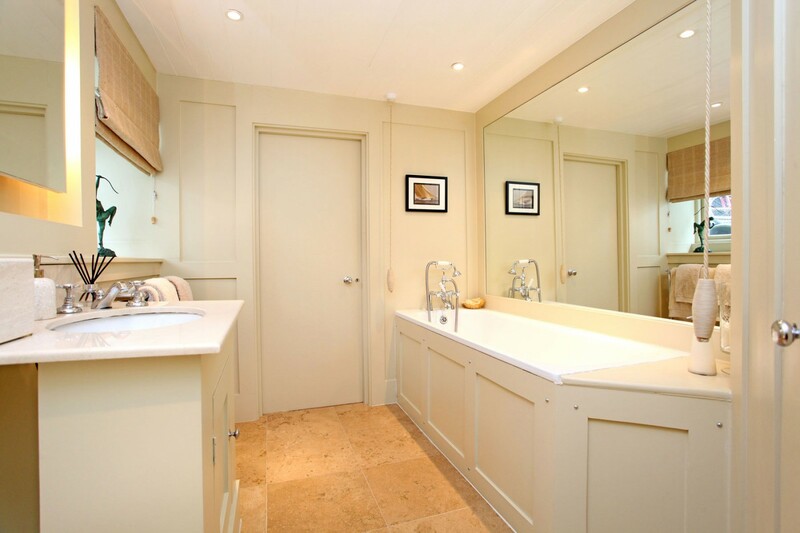 Local transport links are via East Putney tube station (District Line) and Wandsworth Town station as well as the river boat service to Westminster, the City and other destinations. 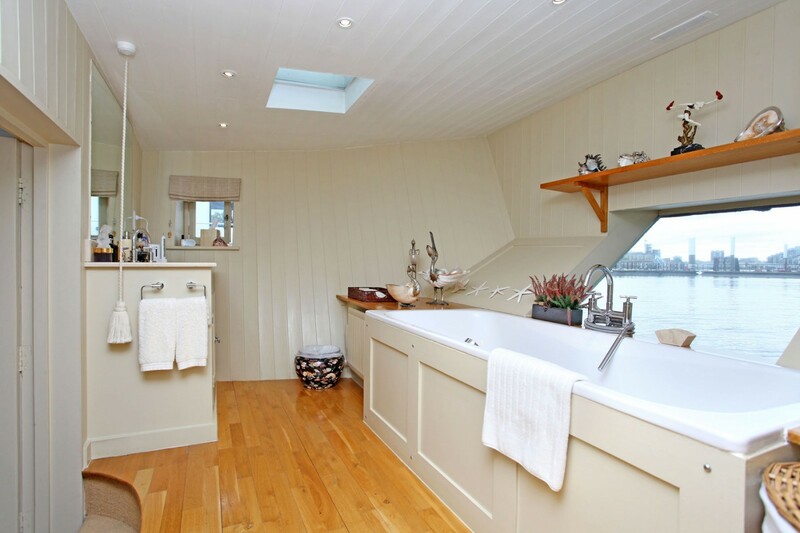 This stunning houseboat, converted from an original Thames Lighter, situated on a scenic & rare share of freehold mooring, offers a true luxury riverside lifestyle. 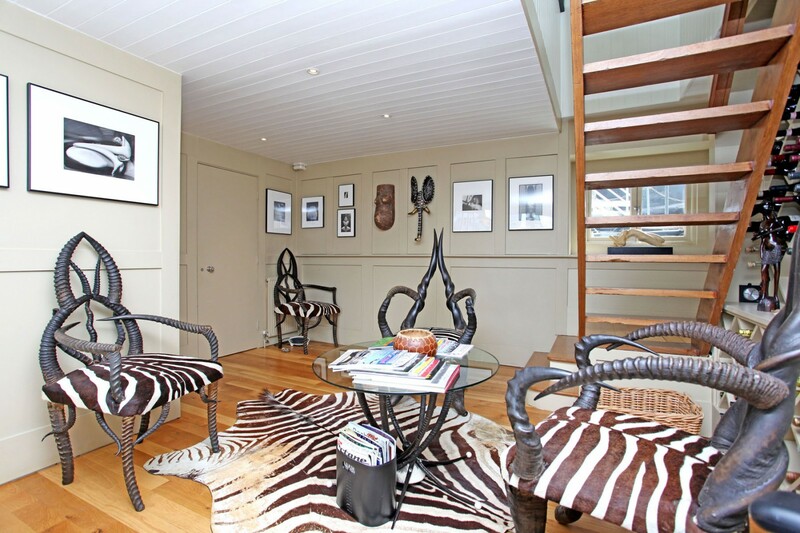 Boasting fantastic entertaining space and 360 degree views, the living accommodation is flooded with natural light and bespoke design details. 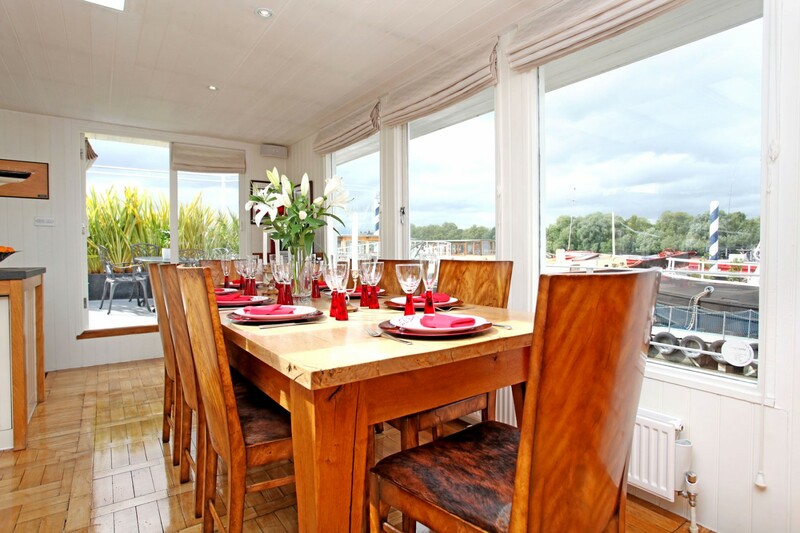 The contemporary eat-in kitchen is fully fitted and there is 28ft reception room with skylights, 2 decks fore and aft and a huge roof terrace with amazing views. 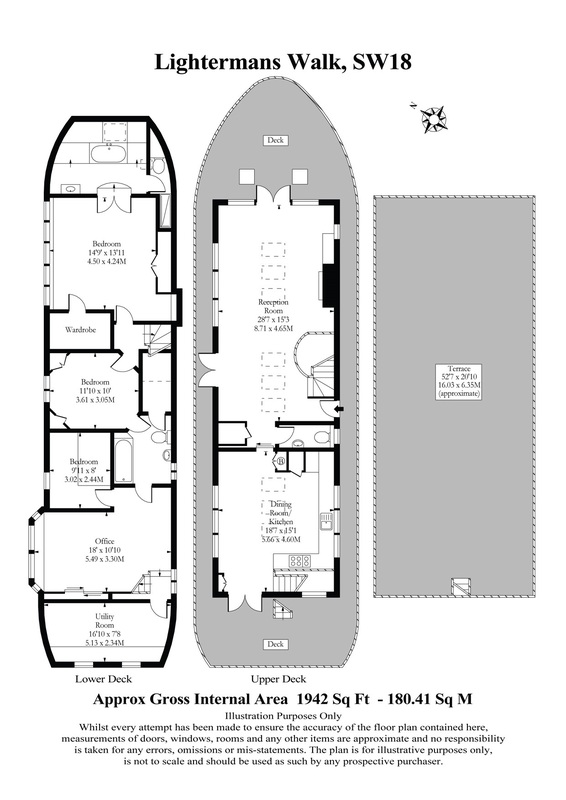 On the lower deck there is a master bedroom with en-suite bathroom, shower and walk in wardrobe, 2 further bedrooms, a family bathroom, study, which can also be used as a 4th bedroom, plus a utility room. 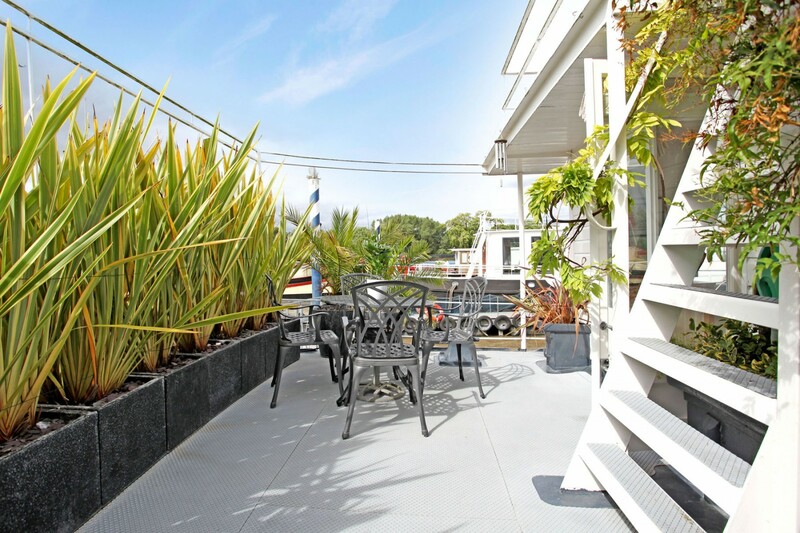 The houseboat also benefits from an automatic boat launcher, use of the gym and swimming pool in Prospect Quay, plus 2 underground parking spaces are available to rent. 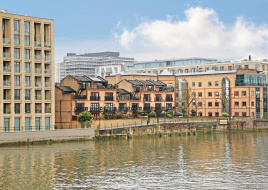 The mooring is located by the Point Pleasant riverside development. 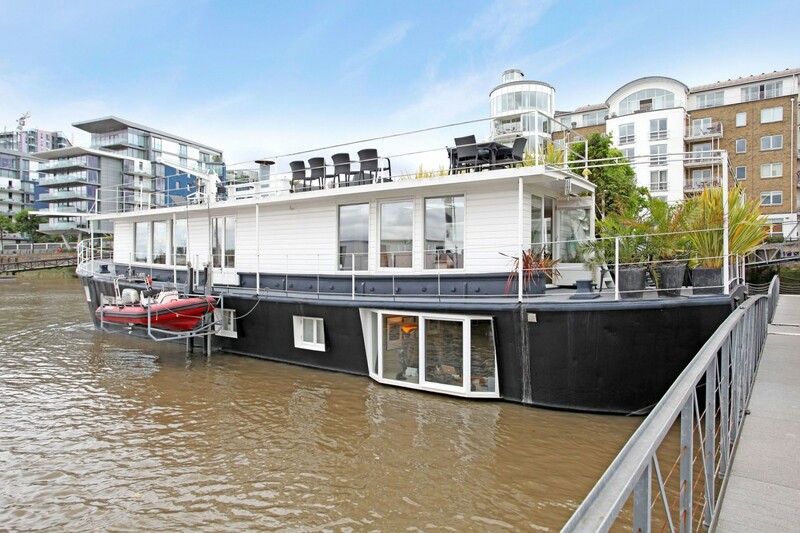 Local transport links are via East Putney underground (District Line) and Putney mainline station (Waterloo) as well as a River boat service to Westminster and the City.